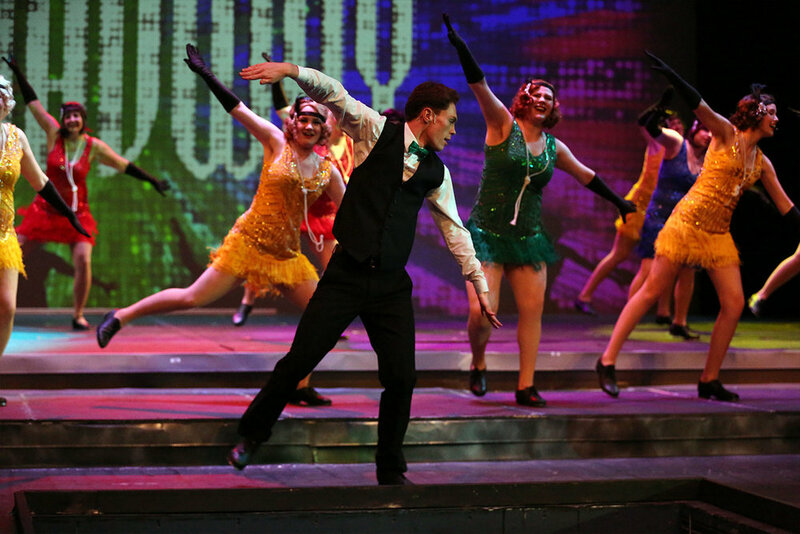 My primary goal in designing Singin' in the Rain was to, alongside other production team members, breathe life into a classic American musical by transforming it into a modern visual spectacle. Most of this goal was accomplished through the use of still and motion graphics, but much of it was achieved by augmenting the work of other design staff. 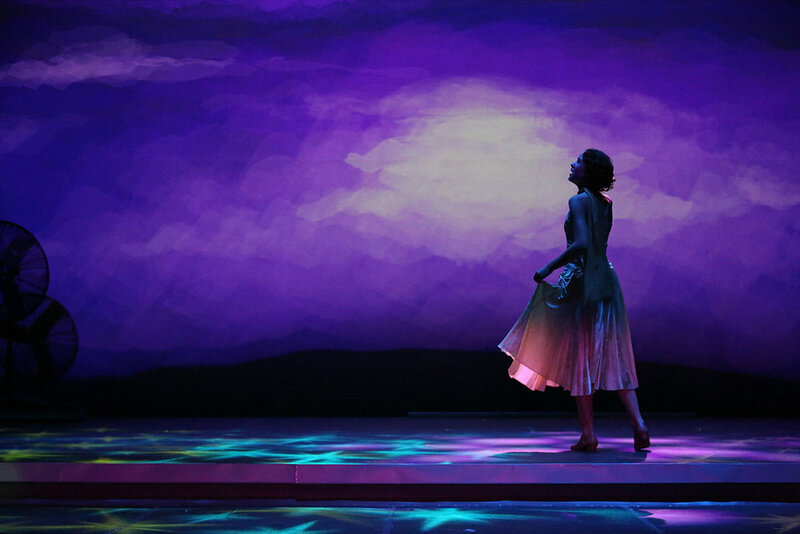 By working closely with the lighting/scenic designer and other production team members, I was able to create cohesive picturesque moments, enhance tightly cued dance numbers, amplify practical rain effects, bring static set pieces to life, and much more. The script for this show called for the production of four short films. In addition to these, the director and I decided to pre-record three different "memory vignettes" traditionally performed live near the top of the show. In addition to directing, shooting, and editing these sequences, I was also responsible for location acquisition, rights acquisition, talent scheduling, lighting, sound, and overall project management. I also conducted research of filmmaking methods used in the late 1920's. This greatly influenced the techniques I used on set and in post-production. "The Royal Rascal" was one of the four short films included in the script. It was shot on location in Eagan, MN in approximately two hours. I also produced and flighted two targeted Facebook and Instagram video ads. In total, they were viewed 20,000 times and received over 32,000 impressions. Each post had at least a 10% viewer engagement rate, and they received over 1,500 combined reactions, comments, and shares.